Happy Birthday to Nancy! I've known Nancy for a long time and have worked with her for the past 5 1/2 years. This is the card I made for all of us to sign for her birthday. You may be able to tell that I cased my own card. The image and colors are different, but the layout is the same. I love the black butterflies! Would you like to create a little something with this cutie? You can download this sweet birthday girl HERE. 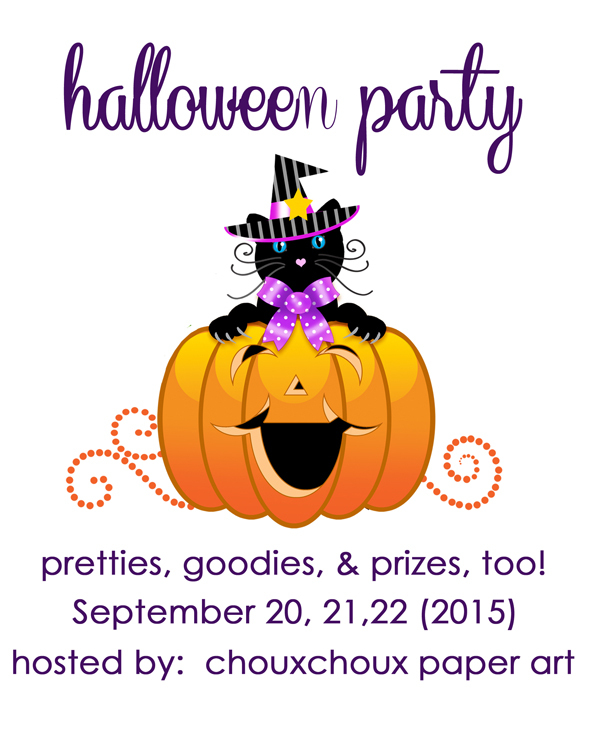 I'm hosting a Halloween Blog Party! Be sure to join us for lots of fun and great Halloween prizes! I love this! I might have to CASE it too hehe! 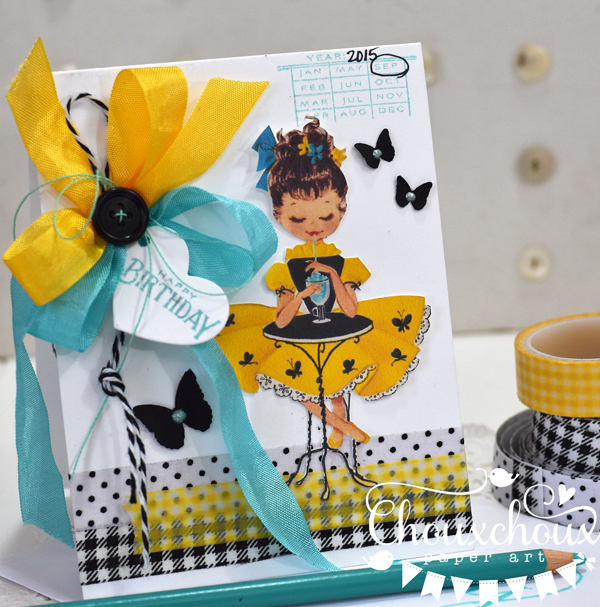 Love the adorable retro image and the ribbon and the washi and the butterflies - all of it! Thanks for the cute image you've shared with us! Oh, and I'm looking forward to your big party! Sounds like fun! What super colours Lori - the card is fabulous. The Halloween party looks interesting and lots of fun. You are a card Lori! I love it "I cased my own card" ! You make the sweetest cards Lori and this really reminds me of the cards I received as a child. 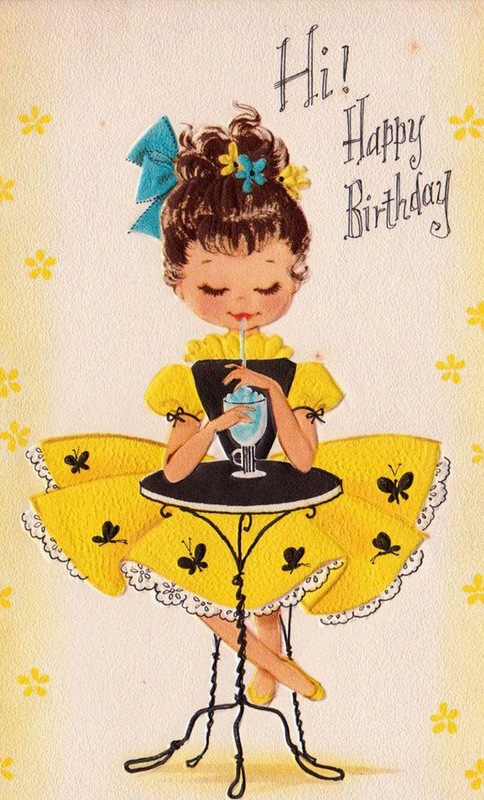 She is so sweet Lori....love your gorgeous card! The mix of colours are really pretty.......love the ribbon too! I love your bright happy colours that you used!